Colorful Gems & Pearls: Who Wore Them Best at 2018 Golden Globes? Colorful Gems & Pearls: Who Wore Them Best at the 2018 Golden Globe Awards? Sunday, people across the world tuned in for the 75th annual Golden Globe Awards. 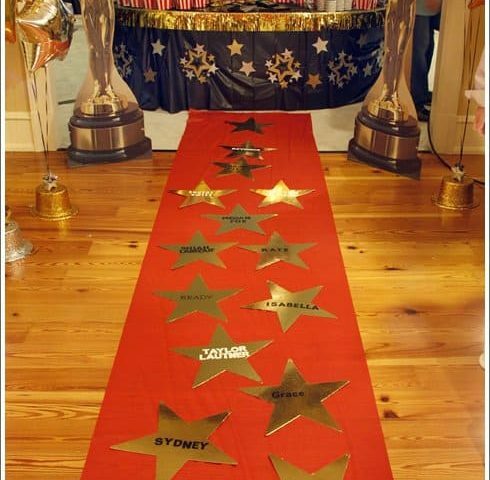 This was the first major event of the year for Hollywood’s elite. Pearls and colorful gemstones adorned the red carpet. And, we’re here to tell you who wore them best. The 2018 Golden Globes was also the first major celebrity event to be held since multiple sexual harassment and abuse allegations have come out to plague Hollywood. Women have been coming out of the woodwork accusing some of the most powerful men in entertainment publicly. So, it’s no wonder the mood was a bit more somber than recent years. 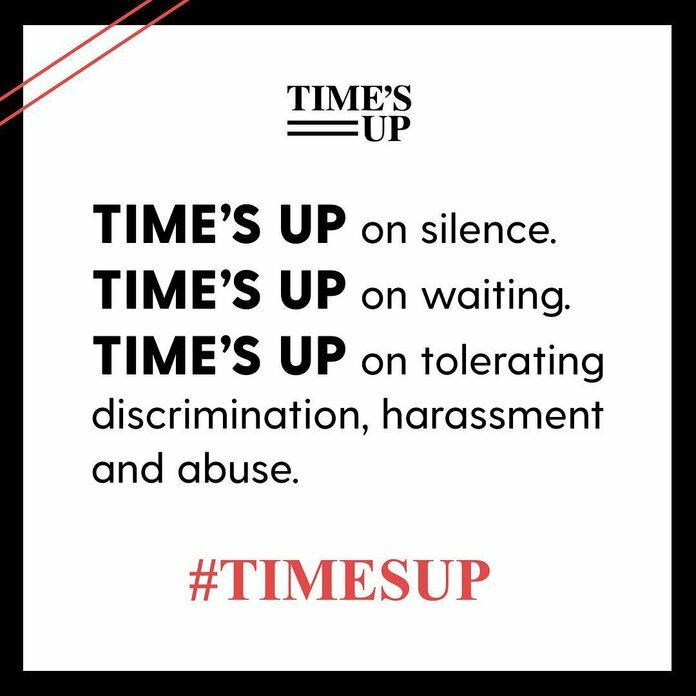 Over 300 women in television, theater and film have backed the initiative known as Time’s Up. The movement is dedicated to fighting sexual harassment and gender inequality in the workplace. This attitude could also be felt at the awards show. 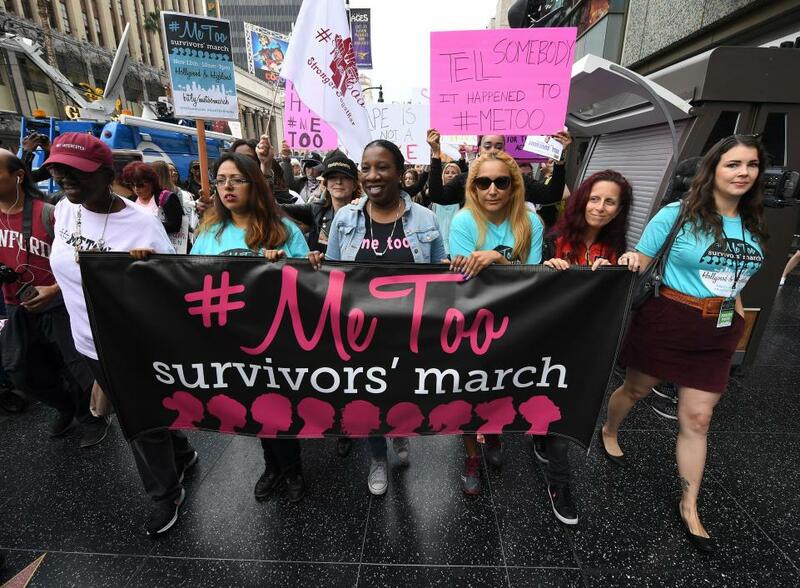 Instead of hunky celebrity dates, many actresses chose to activists to the affair as their plus-ones. Taranka Burke is the founder of the Me Too movement. She came as Michelle Williams’ date. The 2018 Golden Globe Awards was nothing like past events where everything was business as usual. For this Hollywood affair, celebrities showed their support for the victims of sexual assault telling their stories these days by wearing black. But, these weren’t modest statements that went quietly noticed. Instead, they made fashion statements that represented unity and empowerment. Although many wore black, the goal was not to blend in with one another. They celebs were displaying their own versions of solidarity. Being true to its nature, ultra-glam was still the dress code of the 2018 celebrity event. Stylists went out of their way to dress their clients in monochrome designs that force onlookers to pay attention to accessories and jewelry. And, not everyone wore diamonds. This Hollywood affair featured stars wearing pearls and crystals to create some of the most glamorous looks of the night. Emeralds and pearls were the star gemstones of the night. Let’s see who wore them best. Emeralds at the Golden Globes: Who Wore Them Best? 2018 Golden Globe presenter Sarah Jessica Parker showed her support for the movement by donning a Time’s Up pin. The actress wore it on a bejeweled belt. 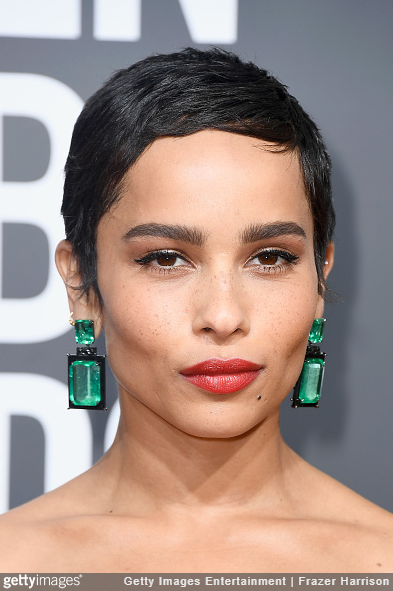 Big Little Lies star Zoë Kravitz went with emerald jewelry for her big night on the red carpet. She definitely wore them best that night. Her Lorraine Schwartz black jade earrings featured more than 130 carats of Colombian emeralds. Zoë Kravitz wearing black jade and emerald earrings. 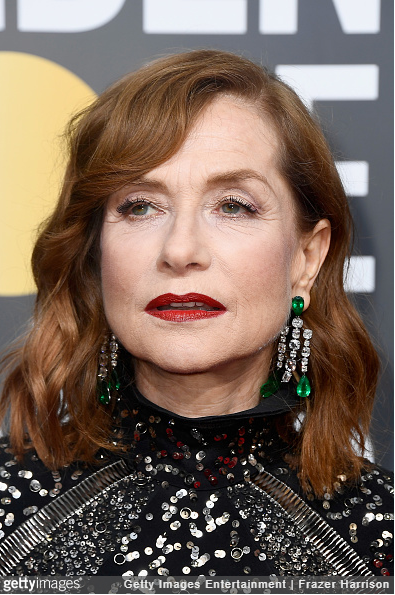 Actress Isabelle Huppert, also a Golden Globe award presenter, wore a dramatic pair of Chopard chandelier earrings featuring diamonds and emeralds. There was green everywhere, as the night was dominated with emerald gemstones. Isabelle Huppert wearing emerald and diamond earrings. Issa Rae of Insecure also went with green emerald and diamond jewelry. Her stellar-looking Lorraine Schwartz necklace was one of the most colorful on the red carpet. It stood as a public testimony to the beautiful actress’ power in the acting industry, and Schwartz’s influence as a celebrity jeweler. Issa Rae wearing a diamond and emerald necklace. Catherine Zeta-Jones also sported diamonds and emeralds at the 75th annual Golden Globe Awards. She, alongside her 101-year-old father-in-law, Kirk Douglas, was also a presenter of the night. She hit the red carpet in a black dress. But, it was her incredible pair of Lorraine Schwarz emerald and diamond earrings that took her look over the top. Catherine Zeta-Jones wearing diamond and emerald earrings. Blue Gemstones at the Golden Globes: Who Wore Them Best? Octavia Spencer, star of The Shape of Water brought a little blue to the affair. The actress looked amazing in her one-of-a-kind, custom-created earrings by Irene Neuwirth. They appear to be crafted out of diamonds and turquoise. 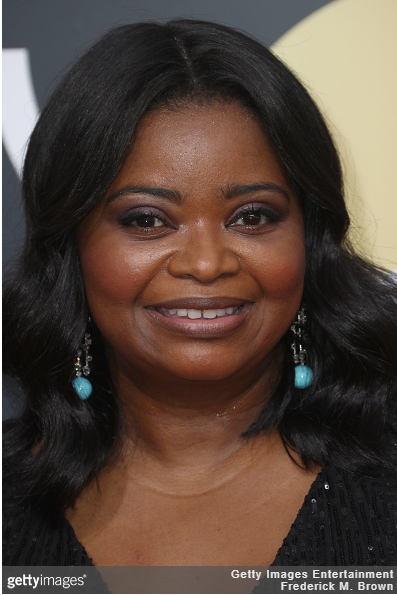 Octavia Spencer wearing diamond and turquoise earrings. One of the biggest winners of the night was Saoirse Ronan, who took home an award for Best Actress in a Musical or Comedy Motion Picture. This was related to her role as a star in Lady Bird. She introduced her own pop of blue into her look with a glamorous pair of eye-catching Cartier diamond and sapphire drop earrings set in platinum. 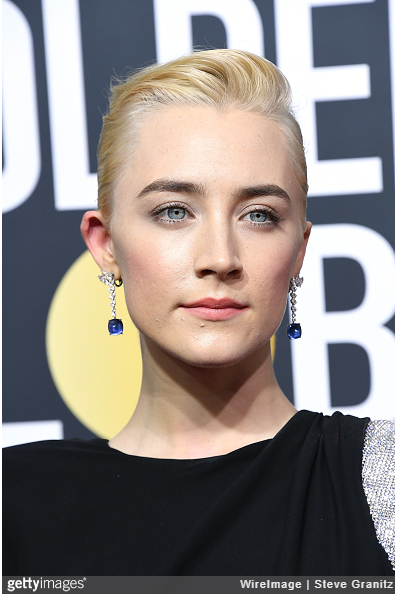 Saoirse Ronan wearing diamond and sapphire drop earrings set in platinum. Pearls at the Golden Globes: Who Wore Them Best? Irene Neuwirth is quickly becoming a universal jewelry brand on Hollywood’s red carpets. 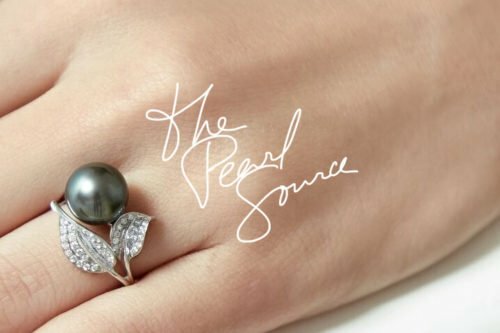 She may even find herself surpassing that of major jewelry houses in 2018. 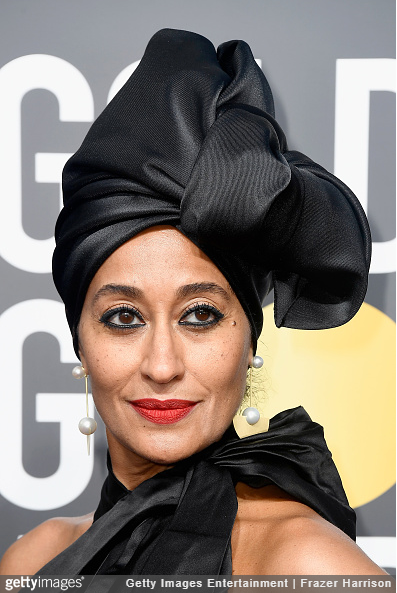 Tracee Ellis Ross wearing gold and pearl earrings at the 2018 Golden Globe awards. 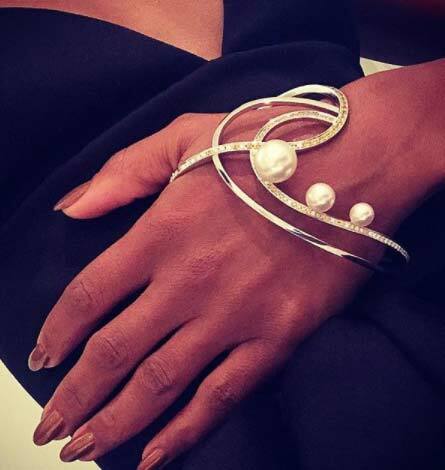 Neuwirth’s awesome jewelry creations made numerous appearances on the red carpet of the Golden Globes this year. Tracee Ellis Ross is the beautiful star of Black-ish, as well as the daughter of singing icon Diana Ross. The Black-is mom wore gorgeous gold and pearl earrings that are true to the actress’ unique style. Sophie Buhai is an independent designer from the defunct fashion line known as Vena Cava. She has become a very trending designer thanks to her gold and silver sculptural jewelry. 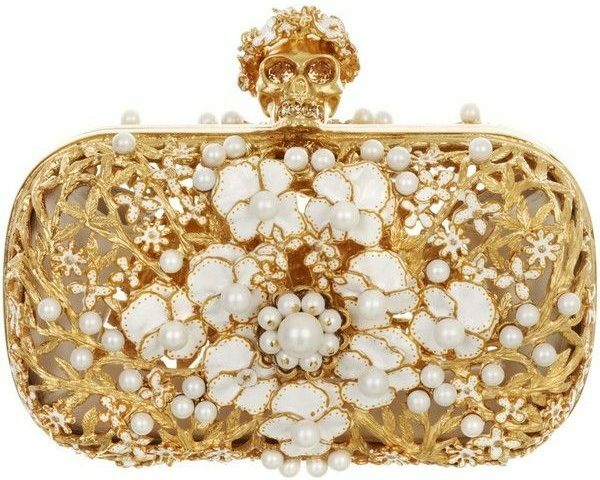 Buhai’s namesake jewelry made its biggest fashion debut every at the 2018 Golden Globe awards. Who wore them best? Sophie Buhai wore these stylish, eye-popping drop pearl earrings to the 75th annual Golden Globe awards. Maggie Gyllenhal, an actress on The Deuce, wore Buhai’s jewelry at the awards for the world to see. She wore her upscale statement drop pearl earrings. These pearl drop earrings are so unique and eye-catching, she most definitely wore them best.